Curlies is a name that has almost become synonymous with those looking to party in Goa. 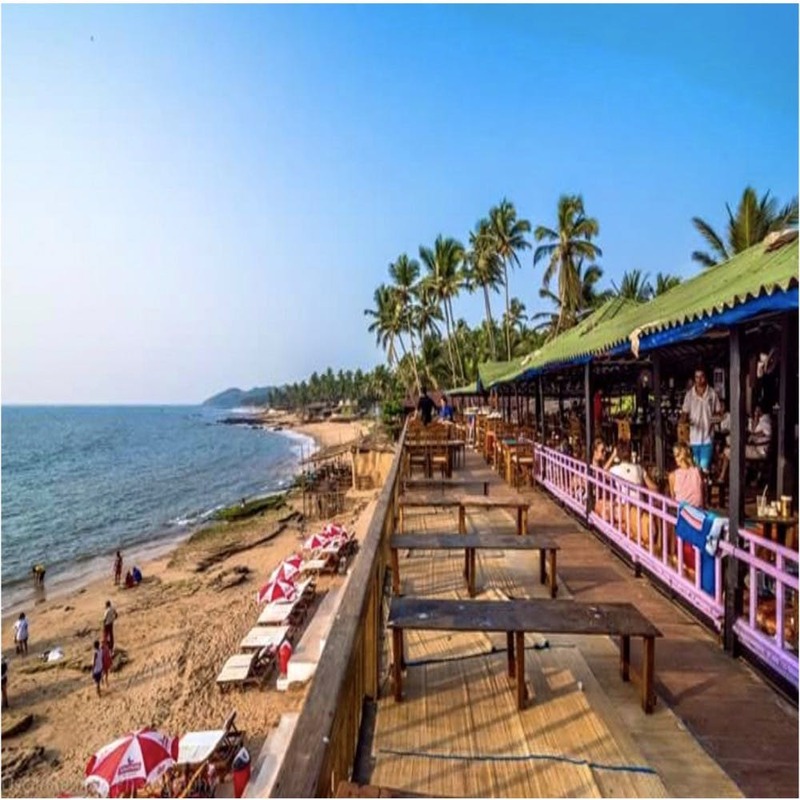 It is perhaps one of the oldest and one of the most popular beach shacks Goa has seen. The shack has simple interiors, and a huge selection of food and drinks on the menu, and is among the must-visit with the party crowd thronging to Goa. The service and the ambience. It’s best to visit Curlies beach shack on Anjuna beach around 4pm. Sit on the rooftop to watch a beautiful sunset with a delicious meal and beers. The place offers a great service and you can sit for hours and hours there without having to worry about a thing. Staff won’t push you out of the shack even if you’re done with your meal and paid your bills. One of the most talked about things at Curlies is beach parties that happen every week through the season — every Tuesday, trance lovers from all over the world get together to dance away their woes up to wee hours of the morning. These beach parties which can easily accommodate up to 500 people, all of them dancing to high bpm music without a care in the world, are reminiscent of the old days in Goa, when the hippie culture was at its peak — the music often reminiscent of the tunes of Goa Gill and other legendary trance musicians from the time. Over time, Curlies has expanded and has so much more to offer, even to those who are not exactly the party people. For starters, on some of the chill days, you might easily find yourself engaged in fascinating conversation and end up playing a game of pool with some of the old hippies who always seem to be around Curlies. The shack also offers fishing trips and various other water sports like parasailing, kayaking, banana boats and the likes. However, our recommended time to visit would be the monsoons — the shack is open through the year, and monsoon being the low season, you get a chance to sit in peace, watch the vast ocean as the rain drizzles over it, and breathe in the beauty that is Goa! When paying the bill, make sure to double check the items stacked on your bill, especially if you have ordered a lot of drinks. The restaurant is continuously busy and has been known to incorrectly add items to the bill, though they are happy to correct the mistake immediately once you point it out.